Every 2.5 minutes, the American West loses a football field worth of natural area to human development. And nearly half of all rivers in the West have been altered by human activities. This project maps a rapidly changing landscape, explores what is being lost, and profiles a new movement for conservation that is gaining ground. Rivers are the lifeblood of the West. They irrigate crops, provide clean drinking water, serve as habitat for fish and wildlife, and fuel an $887 billion outdoor recreation economy. Rivers are woven into the West’s outdoor heritage and our very identity as Americans. But rivers—from headwaters to ocean—are under immense pressure. Climate change, development, and an ever-changing landscape are placing growing stress on the waterways that are so inextricably tied to the health of Western communities and economies. As documented in The Disappearing West, growing human populations demand more from rivers: more water for cities; more diversions for irrigation and power generation; and more dams to manipulate natural river systems into performing for human needs. This development—which includes mining and urban sprawl—puts more strain on healthy, functioning river systems. Through the Disappearing Rivers project, the Center for American Progress is providing the first comprehensive snapshot of the condition of Western rivers. 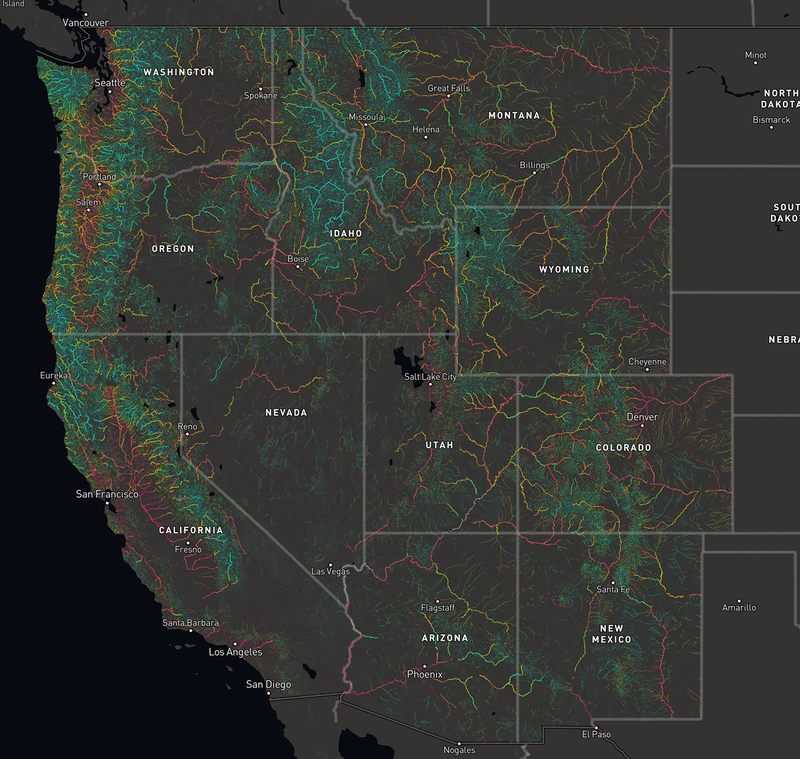 To follow up on its groundbreaking Disappearing West analysis, CAP’s Public Lands Project partnered with Conservation Science Partners to develop a tool to measure how rivers across the West have been affected by human uses of land and water resources. This project documents the extent to which rivers in the West have been dammed, diverted, or otherwise altered from their natural state by human development. 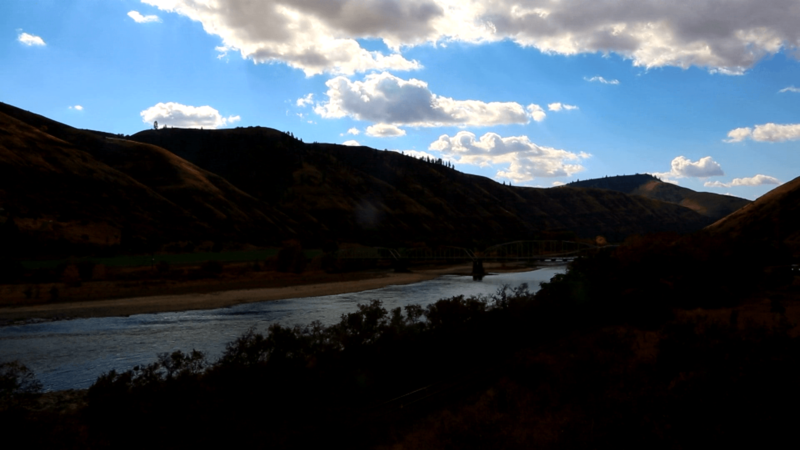 The results defy the conventional wisdom that western rivers flow wild and free. Nearly half of all river miles in the West—49 percent—are modified from their natural state. Once known for their dynamic character, 21 percent of rivers in the West no longer flow freely and a total of 140,000 river miles, or a distance long enough to circle the Earth nearly six times, have been altered by human uses. The development of lands adjacent to rivers is a primary cause of river degradation with 42 percent of rivers flowing through flood plains altered by human activity. Often portrayed as continuous lines on a map, modern-day rivers are fragmented and impaired versions of their former selves. Waterways that once supported navigation and enabled adventurers to explore the West are no longer passable in their entirety. In fact, the average length of a river in the West has been reduced by 84 percent. Source: Dylan Harrison-Atlas and others, “Description of the approach, data, and analytical methods used to evaluate river systems in the western U.S.” (Truckee, CA: Conservation Science Partners, 2017), available at https://disappearingwest.org/rivers/methodology.pdf. This fragmentation of rivers carries dire ecological and economic consequences. Fish and wildlife populations are being pushed to extinction, endangering local communities and jobs in the process. For example, new research finds that nearly 75 percent of California’s remaining species of salmon, trout, and steelhead will be extinct within 100 years. This loss will have devastating consequences for tribal nations, the fishing industry, and regional economies—Pacific salmon alone drives a $3 billion industry and supports tens of thousands of jobs. With half of our rivers altered by development, the state of water in the West is bordering on a crisis. Major rivers—those large enough to support whitewater boating activities, or flowing at a speed of more than 163 cubic feet per second—are in the worst condition. A full 82 percent have been disrupted and altered by human development. From the iconic Colorado River to the roaring Rio Grande, most of our majestic waterways are no longer continuous or natural. These are the rivers that we raft and boat and that supply drinking water and critical irrigation for millions of Americans in the West. Some states have essentially no semblance of natural major rivers left. In Utah, for example, more than 99 percent of major rivers, including the Colorado River and the Green River, are altered from their natural state. Smaller rivers and streams—flowing from 6 to 163 cubic feet per second—are also altered beyond their natural state. Nearly half, or 48 percent, are clogged with dams, diverted for other uses, or affected by human development in the surrounding flood plains. Still, these rivers are economic drivers, fueling a $35 billion fishing industry, and their loss could be devastating for local communities. For example, many of the tributaries of the mighty Blackfoot River—a sought-after fly-fishing destination made famous in A River Runs Through It—are up to 50 percent altered. Perhaps most surprising is that headwaters—the high-elevation tributaries that feed rivers and streams and that evoke images of untouched and pure sources of our drinking water—are heavily modified. More than 35 percent of glacial-fed mountain streams and spring-fed babbling brooks are altered by human development. The South Fork of the Pit River—part of the headwaters of the Sacramento River that provide most of the water for the Central Valley of California—is already 84 percent altered at its source. In aggregate, the changes made to Western rivers are astonishing. A fish can only swim less than one-half of 1 percent of a river before reaching a dam, diversion, culvert, or water that is somehow affected by human development. The unnatural state of a given river results from a combination of structures and modifications, such as dams, that have changed its flow as well as human development in the surrounding floodplain and watershed. Modifications within a river, whether from dams or other manmade structures, are a serious impediment to water flow in the West. 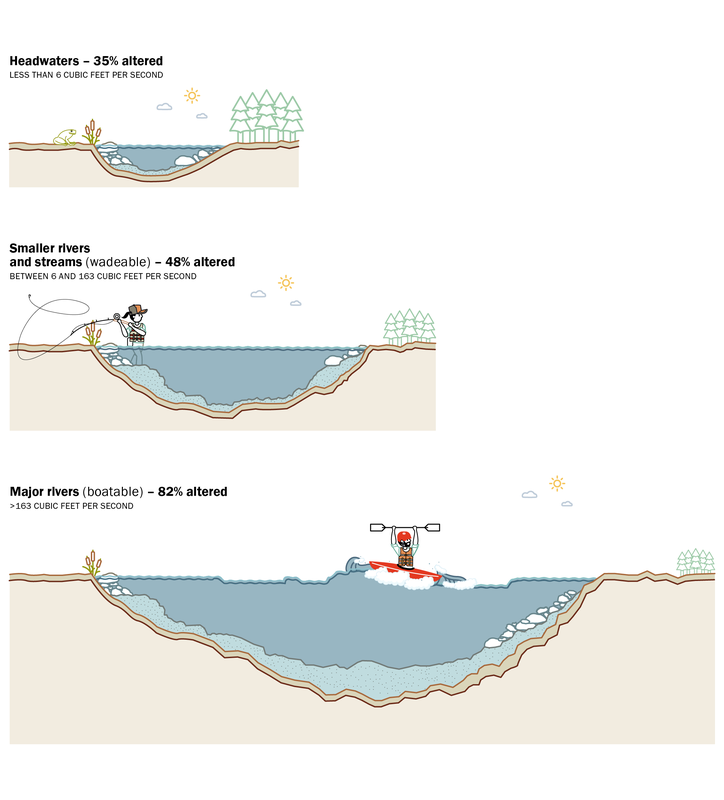 Less than 80 percent of river miles are flowing close to their natural levels. Not all Western states are equal in terms of how dammed and obstructed their rivers are. Review our state fact sheets for a full analysis of how each state stacks up. Dams are the biggest impediment to natural flow. With more than 12,000 major dams in the West, an average river flows only a third of its historical length. Our research found that land-based threats, as outlined in The Disappearing West, also have a significant effect on rivers and waterways. Floodplains can be altered through urban sprawl, agriculture, logging, energy development, and transportation. Indeed, 42 percent of rivers are affected by land-based development that alters their natural state. That is true of 63 percent of major rivers, 43 percent of smaller rivers and streams, and 33 percent of headwaters. The 11 contiguous Western states also had varying levels of development in surrounding floodplains that altered the river miles within their borders. Review our state fact sheets for a full analysis of development pressures in each state. We also mapped active and abandoned mines in the West and their aggregate effects on water quality further downstream. By the time the Colorado River reaches Mexico, nearby residents are at risk of pollution from 20,138 upstream mines. This research also sheds new light on rivers’ importance to Western economies. It is well-documented that two-thirds of U.S. drinking water comes from rivers and streams and more than half of irrigation needs are met with surface water. New data finds that rivers and streams also play an outsized role in supporting the outdoor recreation economy. Watersheds with the most rivers—those in the top 10th percentile—support a whopping 717 percent more outdoor recreation spending than those in the bottom 10 percent. Note: This data looks at watersheds that have the highest number of rivers—areas in the 90th percentile—and compares outdoor recreation spending with watersheds with the lowest number of rivers—areas in the 10th percentile. Outdoor recreation is an economic powerhouse, pumping $887 billion into the U.S. economy each year and supporting 7.6 million jobs. River-rich communities that have clean and accessible waterways are at a unique advantage to tap into this growing economic sector. Outdoor recreation spending provides a strong incentive to protect rivers and streams or to restore them to their natural state. Protected public lands play an indispensable but under-appreciated role in supporting healthy rivers and streams. In fact, rivers that run through protected lands in the West are on average 50 percent more natural than rivers that flow through unprotected areas. Protecting the West’s wild places is essential to the conservation of the region’s water resources. For lands and rivers that have already been developed, there is also hope. Rivers and streams are remarkably resilient, and smart investments in restoring watersheds can bring back much of what has been lost. From dam removal and headwaters conservation to focusing management on watershed rather than political boundaries, the Disappearing Rivers project can inform policy decisions and land-use planning to return the waterways of the West to a more natural state. For more recommendations, see "Restoring Balance: Healthier Rivers and Secure Water Supplies in the American West." Narrative and production by Nicole Gentile with significant contributions and support from Jenny Rowland, Ryan Richards, Kate Kelly, Mary Ellen Kustin, Kyle Cornish, and Matt Lee-Ashley; web design and development by Mat Brady; editing by Shanée Simhoni and Emily Haynes; art by Cecile Samuels, Keenan Alexander, and Chester Hawkins; web and technical support by Ron Warren. Data and analysis by Dylan Harrison-Atlas, David M. Theobald, Brett G. Dickson, Vincent Landau, and Ian Leinwand. Interactive map designed and developed by Josh Gage.